KANSAS CITY, Mo. (AP) - The Republican candidate for U.S. Senate in Missouri has canceled a campaign event with a preacher who once called for government regulation of homosexuality. The Kansas City Star reports that Missouri Attorney General Josh Hawley was scheduled to appear in Springfield on Wednesday with Texas pastor David Barton. 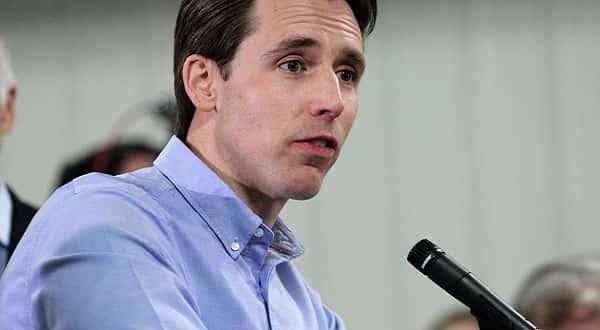 The newspaper asked the campaign Tuesday whether Hawley agreed with Barton's views about the LGBT rights movement, which he has compared to Nazism. Hawley spokeswoman Kelli Ford said later Tuesday that the event had been canceled because of a scheduling conflict. Barton suggested in 2010 that the federal government should regulate homosexuality. And in 2017, he compared LGBT rights activists to Nazis. Ford didn't immediately respond to an inquiry from The Associated Press about whether Hawley agrees with Barton. Hawley seeks to unseat Democrat Sen. Claire McCaskill.